Biotin is naturally available in most health foods and studies have proven that a biotin deficiency will often result from eating pre-packaged meals and fast foods on a consistent basis. Are you person who likes to eat on the go and never has the time to cook a healthy meal at home? Well if you are this type of person, then you may have a biotin (Vitamin H or B-7) deficiency and not even know it. 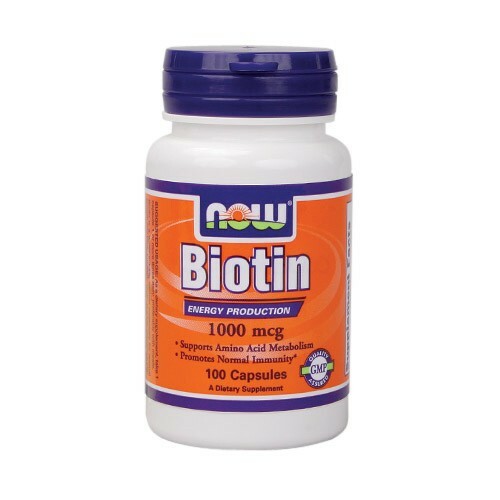 Biotin is needed by your body in order to grow and promote good health. It aids in breaking down fatty acids and glucose and converting them into energy. If you feel tired frequently throughout your day, you may be low on biotin. Directions As a dietary supplement, take 1 capsule 1 or more times daily, preferably with meals.